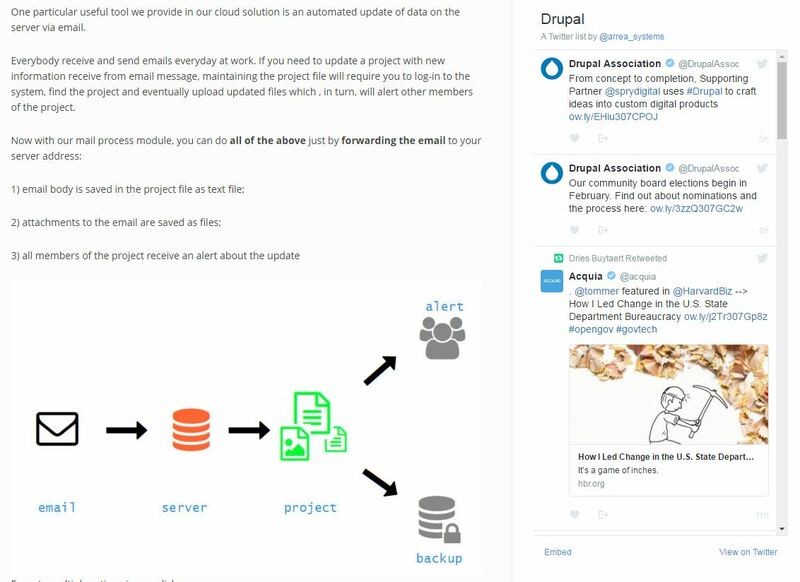 In this article, we will present how we built a simple twitter feed in Drupal 8 with custom block and without any custom module. 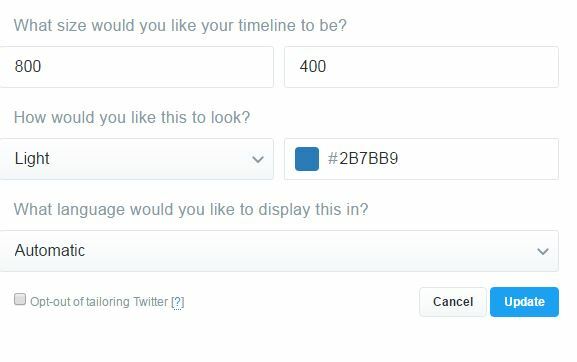 This block will display a list of tweets pulled from a custom list as in the example shown in the side bar. As a prerequisite, you need to have a twitter account and a custom list in your feeds. 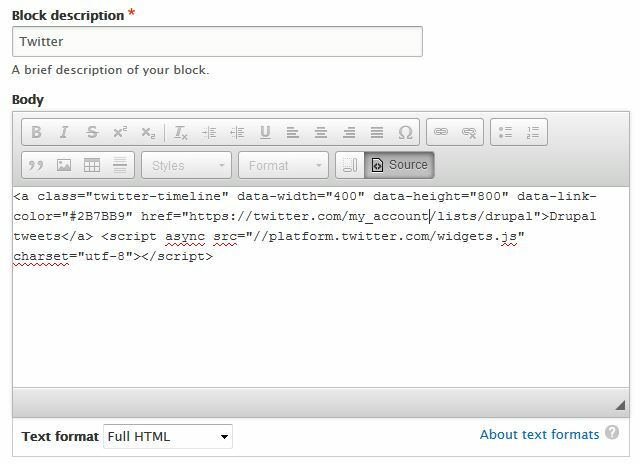 1) Get code from "twitter publish"
First, we need to get the code that is generated by twitter publishing api. We will use this code to create the block. In custom block library (/admin/structure/block/block-content), click on "+ Add custom block" button. You now have a custom block that you can place anywhere in your site. To do so go to /admin/structure/block and click on the "Place block" button where you want to display your block. For more advance block creation, see also this article. Yes very true. Thank you for the input. But the idea here was to make something very simple without any external module to install using only Drupal core modules. Well, if full HTML is restricted to site "Administrator" like in the comments, you should be able to trust someone to do it with minimum risk. Editor is another permission.